Zensar Technologies, a mid sized IT company, has announced the acquisition of Akibia Inc yeterday for cash of around $66 Million. Akibia Inc is a very niche player in Infrastructure managment space. With its acquisition, Zensar would be among top 5 Infrastructure Management Company in India. Akibia has centres in, Boston, in the US and in Europe and counts IBM, HP, AT&T, Goldman Sachs, and Verizon among its customers. Akibia did around $100 Million in revenues and around $9 Million in Profit last year. Considering the niche space and the kind of revenue and profitability that Akibia has, Zensar has got an extremely good deal. 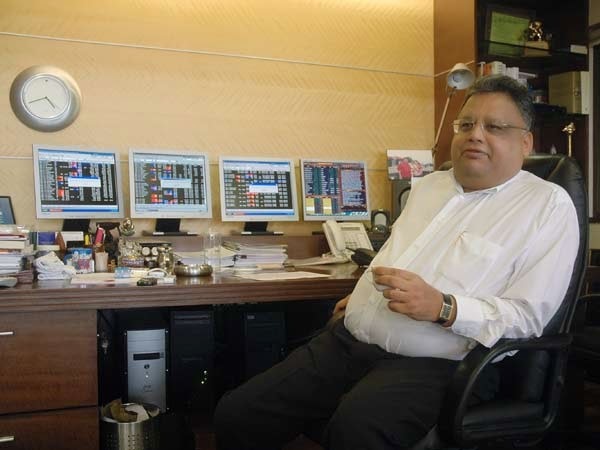 Zensar has around $35 Million of cash which it will utilize in doing the acquisition. With full year results of akibia getting integrated into Zensar from FY12, Zensar is expected to report a consolidated revenue of 1600 crores and a PAT of around 145 crores. The expected EPS is around 33.5. At a PE multiple of 10, the stock is expected to reach Rs. 335 in next 1 year time frame. So from the current levels of 160 there is more than 100% appreciation expected in the stock. 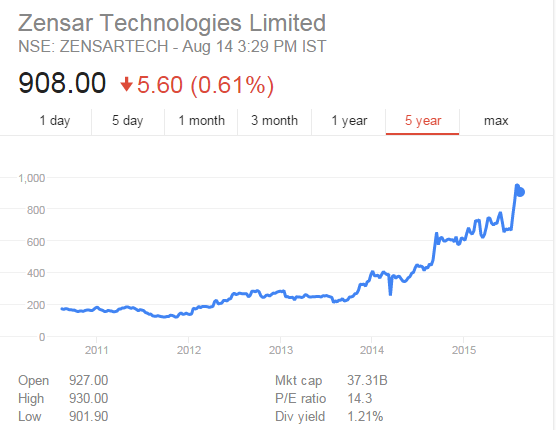 Update as on 16th August 2015: Zensar Technologies has become a huge multibagger and is up 6 times since the recommended prices of Rs. 160.